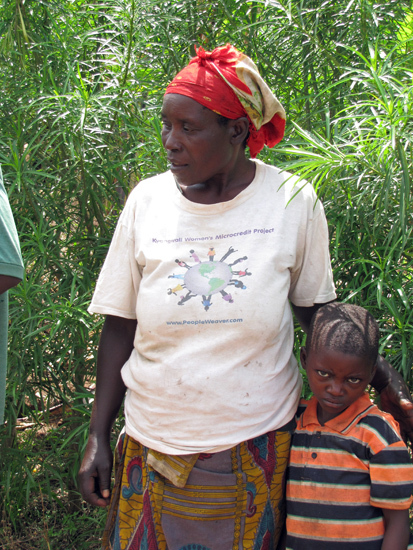 Janet is a widow who lives with her daughter Izabayo Afiya. "We are extremely impressed to apply for the microcredit loan so that we can improve on our standards of living in the settlement. I lost my husband and other family members during the war. By God's grace I managed to cross the border to Uganda where I have stayed from 2001. I have suffered to the extent of reaching the vulnerability level where I am no longer able to support myself and my young daughter. I would like to start a business of planting cereals and vegetables. I strongly feel that I can make a good profit throughout the season. 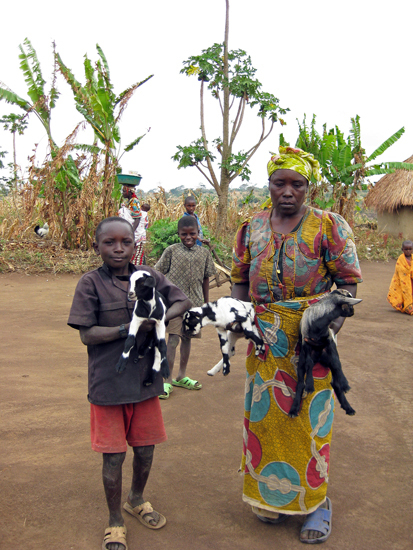 I hope to sell at the market in the neighboring districts like Kibale and Hoima. Also, my fellow refugees can buy my vegetables. In addition to this I would rear some animals which will help me earn more money. I humbly therefore apply for 100,000 shillings. I would use 50,000 for buying seeds, fertilizers and to dig the land. I would use 50,000 to buy a female goat. Hope to hear positive answer from you. Yours Faithfully, Nyirakaruhije Janet"
Janet repaid her first loan and received a second loan. 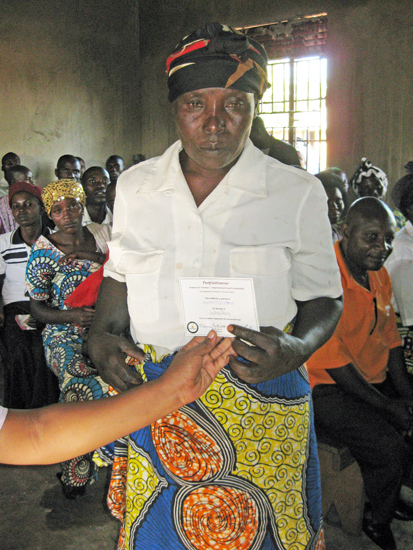 Janet enrolled in the PW Tuungane Adult Education and has learned to write her name. Her grandson emailed to say they were very happy. Janet repaid her second loan.